Hop on our express bus to the Starr’s Point Loop–first stop is Planter’s Ridge Winery for a guided tasting of both local and award-winning cheeses from across Canada, curated by Canadian Cheese Grand Prix Chairman, Phil Bélanger, and paired with wines at the source. Then it’s on to a quick tour of Fox Hill Cheese House, one of Nova Scotia’s most prominent fromageries. Enjoy the views of beautiful Starrs Point on the return trip to Wolfville. This Devour! The Bounty of Kings County Tasting Tour is facilitated by our partner Grape Escapes Wine Tours. Round trip: 2 hours. 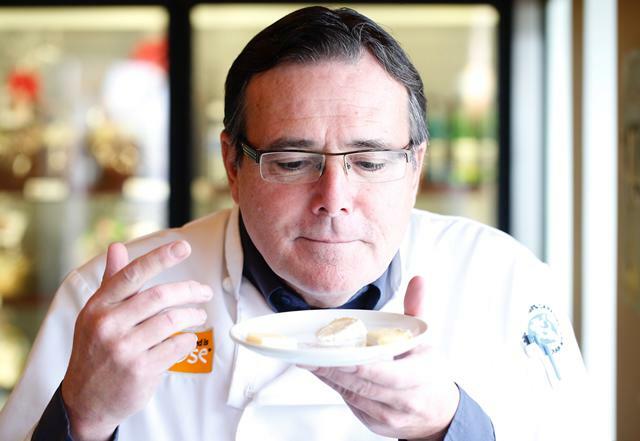 Phil is a cheese expert and independent consultant working with the Dairy Farmers of Canada, and has been a part of the Canadian Cheese Grand Prix national competition since its inception in 1998, and Chairman since 2009. His passion for cheese goes back to his early childhood and he has been exploring cheese ever since. Not only has he done his studies in cheese, but also sommellerie in France. Amazed by the on-going innovative excellence in the Canadian cheese making industry, in the last two decades he has been focusing on Canadian Cheese, with attention on pairing with wine, and also with beer becoming a growing trend. He has had a distinguished career in the Atlantic agrifood industry, which included directing a Provincial Hotel and Culinary Training Institution, where he developed and managed all aspects of its programs. He currently is executive director in the NB department of Post-Secondary Education, Training and Labour, and chairman of La Confrérie de la Chaîne des Rôtisseurs for the New Brunswick chapter.